Last week was Clicktale’s Kickoff 2018. We cleverly named it “Elevate” as this fit with our company’s goals of taking us ever higher, in vision and execution. I’ve been to a lot of kickoffs. I’ve run a lot of kickoffs. I’ve presented at a lot of kickoffs. This time it was different, which caused me to take a pause, and be introspective. Or at very least, retrospective. 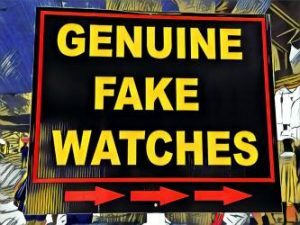 Which has, in turn caused me to decide on a “connected series” of posts to Genuine Fake Watches. This is the first installment. As mentioned, I’ve presented at lots of kickoffs. As I’ve held very senior roles for a good many years, these almost are as rote (which is defined by Webster’s as “A frequent repetition of forms of speech without attention to the meaning; mere repetition”). Don’t get me wrong, there is always a theme, and I always take my presentations quite seriously – presenting is one of my strengths. For kickoffs, it is usually a recap of the accomplishments of the prior year, a view into the plans for the upcoming one, and typically something designed to motivate and to directionally align against the corporate vision, of which I am typically at least one of the custodians, and always the primary communicator. I prepared a presentation and it was ready to go – the opening “welcome” to jumpstart the event – but then, something happened. Prior to the formal kickoff we held an all-day worldwide Quarterly Business Review (QBR) meeting. Normally these are 1-2 day events, per region, where we go in depth through key deals, needs, wants, etc. As we had the entire team together in Israel (where Clicktale is headquartered) we decided to compress all of our regions into one day, and do more of a regional SWOT (Strengths, Weaknesses, Opportunities, Threats) analysis-driven series of presentations. As I spent an entire day listening to our extended sales leadership talk about where we are (from their perspectives), I was struck by some things that made me decide to go a different direction for my talk. Typically, as these tend to be more tactical discussions, the topics need to align to our vision, but don’t always require full alignment, as the key thing is to make sure we address our opportunities with an eye towards successful selling. We did that, but there seemed to be a lack of alignment that (as one of the crafters of our value proposition) concerned me. We have some really cool things in the market, things that fundamentally change the way ecommerce can be measured. Visionary things. But we were focused for much of this meeting on solving some similar problems to those we solved at one of my prior companies – Tealeaf – where we created a market starting in 2001 (and that was later sold to IBM in 2012). In simple terms I was struck by the fact that we are at times focusing on the same problem set – because our customers still are – as Tealeaf was 17 years ago. So, I decided to leave the script. I flushed my entire well-thought-through deck. I decided to talk instead about the genesis of how Tealeaf got to where it did, as a lesson as to why I have a different vision (and passion) for what we are doing at Clicktale. As I began to wrangle (late the night before, after a full day of brain exhaustion and a group dinner event) with a new deck, it struck me that since I am the connective tissue between the early days of Tealeaf and the present now at Clicktale, that my own journey would be the best context. I summed my thinking in a simple statement from one of my personal heroes, hockey legend Wayne Gretzky. When Gretzky was asked (in 1986 for a documentary on his Edmonton Oilers, “The Boys on the Bus”), what made him so great (because he wasn’t the biggest, nor fastest, nor strongest) he simply answered: “A good hockey player plays where the puck is. A great hockey player plays where the puck is going to be”. I want Clicktale to go where the puck is going, not where it is. To be great, not just good. As I wrestled with how to articulate this idea (I only had a 15 minute slot – and let’s just say I can be somewhat verbose), and to tie it to our business, I realized the story was greater than just the last 17 years – that my personal context started much earlier. I decided that instead of using slides at all, I was going to speak from my heart, without notes, about why I am so passionate about where we are going, framed in my own personal career journey. Which caused me, for the first time ever, to actually examine that in whole. From 1981 to now. Which kept me awake all night long. 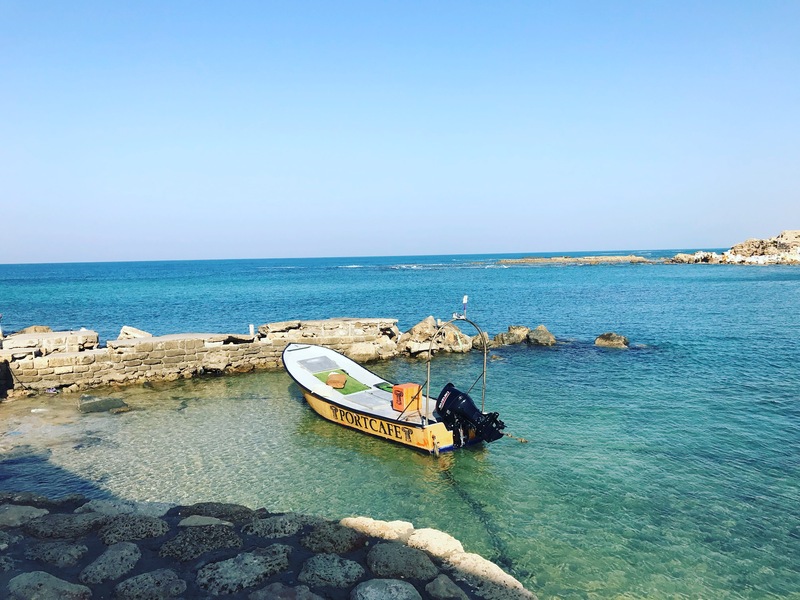 The peaceful scene at Caeserea, Israel the day before Kickoff 2018. The night before I presented, my mind was the equivalent of that boat being tossed around in a hurricane. I formed the talk, and the framing of the key points in my mind, and churned it (and my brain) literally all night. I was about to expose myself and become very vulnerable, venturing onto the “tips of my skis” amongst my colleagues (some of whom I’ve known for more than 10 years), who respect me but sometimes don’t really know me or my backstory, with only an idea in my mind of where I wanted the story to go, and what I wanted the takeaways to be (because it really wasn’t about me, per se). And I was doing so operating on fumes. Finally, personal introspection has never been my strength. I can say immodestly that the talk was amazing, one of the best things I’ve ever done. I’ve never had a room more mesmerized, it was pindrop quiet. I forgot lots of details I wanted to include, but it was never intended to be a literal history. I’d asked that it not be recorded (for fear of failure, I suppose), but wish I had it to watch again. I was congratulated and thanked hundreds of times the remainder of the week, and I decided the fabric of it is something I want to put on paper. Hence this series. Not just to say it, but hopefully to inspire, motivate and challenge the reader. Gutsy call, Geoff. I’d actually like to see the personal path more than the marketing one next! It’s awesome when a risk like that pays off right. You’ve probably just opened a leadership door you haven’t even thought of. There are likely more people in that room who want to tell their own stories. The intent is the personal path. The goal is precisely what you suggest. I want them to learn to story tell. To be inquisitive and not need to think about what we do, but why, etc. That’s quality leadership. They’ll never have passion about what they do unless they make it personal and see themselves in the pursuit. Geoff, looking forward to reading the insights you’re going to present. The Tealeaf team pulled off revolutionary technology, with a lot of hard work, and navigated the company to a successful exit and a disciplined backer in IBM. Thanks for the comment Vik! I chuckled when I read the part about IBM, though! That took a lot of courage to follow your inner voice. #1 grabbed my attention.